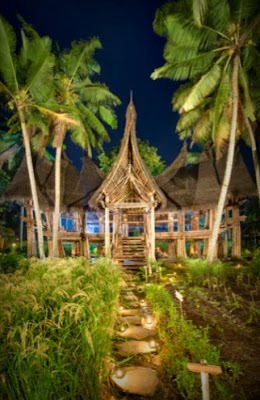 I recently stumbled upon another project in Bali by John and Cynthia Hardy. 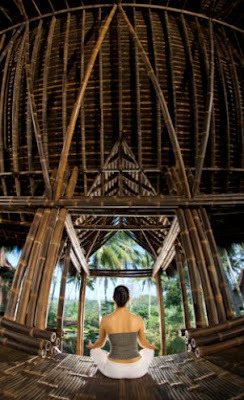 Bambu Indah is a small, private lot featuring seven historic Javanese homes adajacent to the Hardy's own home and is located 15 minutes south of Ubud in the village of Sayan. 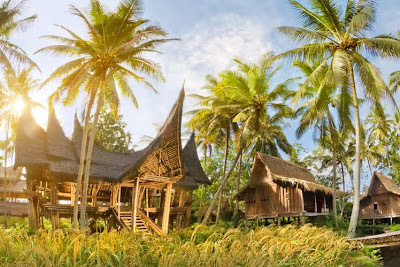 The teak wood villas with grass thatched roofs are were built over 100 years ago as bridal homes for Javanese noblemen. 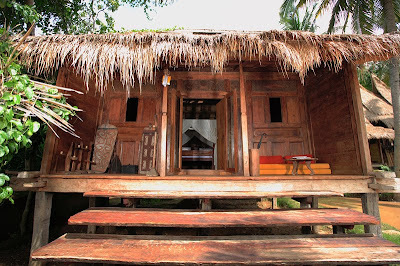 John moved the homes to Bali and had them restored to serve as accommodations for his guests and as a private hotel. 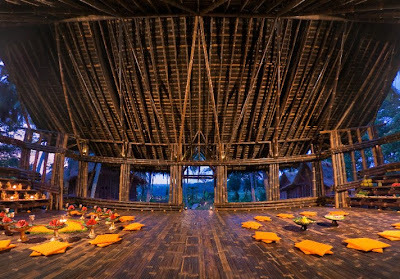 Catered food menus, yoga and massages are some of the luxuries offered onsite. 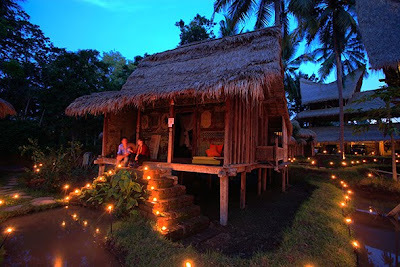 The New York Times did an article on Bambu Indah in 2008. Visit Bambu Indah for more information. 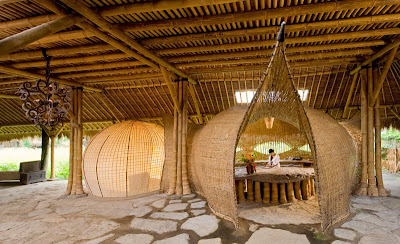 All images from Bambu Indah.